The fire in this opal moves continually as the opal is rotated. 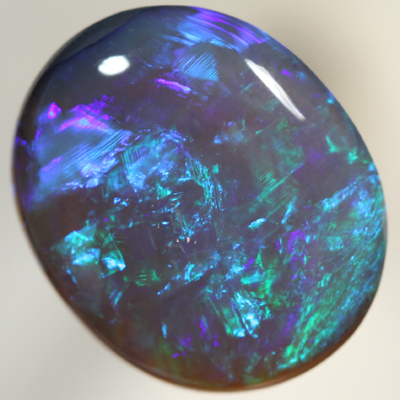 Lustrous colours of gold green to turquoise, blue and purple, all jumping across the opal, giving a superb colour play. Continual moving show all of the time, moving throughout the opal in a 3 dimensional pattern. A stunning and beautiful gemstone, ready to be made into a beautiful piece of fine jewelry. Great in all lights.